Cryptocurrency exchange Shapeshift is launching a new mandatory membership program that will now require users to provide personal information. Cryptocurrency exchanges are under more regulatory pressure than ever, with governments requiring that they conduct KYC and AML procedures to prevent fraud. As a centralized exchange, Shapeshift lacks the ability to operate without a license or some form of cooperation from local governments. KYC and AML processes are the first step for both exchanges and users to begin moving towards compliance and disclosure to regulatory authorities. 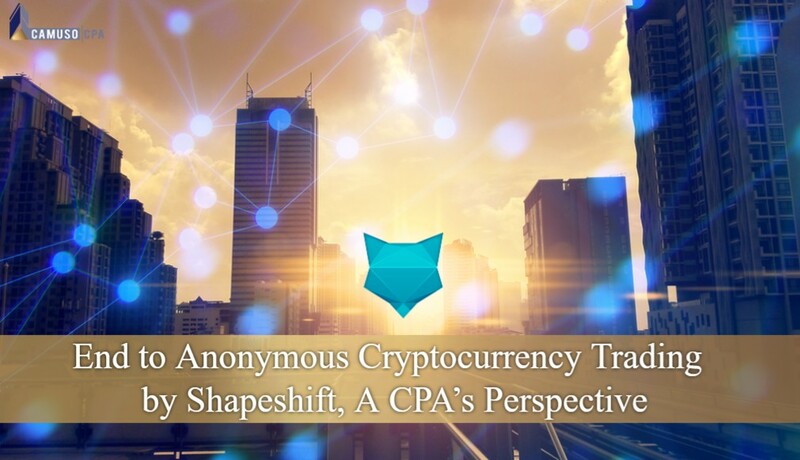 As exchanges such as Shapeshift move towards user registration compliance, we noted in a separate recent article that various countries across the globe have developed in international crypto tax force to target non-compliant cryptocurrency investors. As the topic of institutional investors and Bitcoin ETFs continue to gain more relevance, we will undoubtedly start to see more centralized exchanges conform to the same demands that traditional financial institutions comply with in order to gain access to larger customers. Our prediction is that we will see further sweeping inquiries into user data from exchanges such as we saw last year with the John Doe request from Coinbase, additionally investors should expect to receive more 1099-K forms from exchanges in future years. 1) The requests of many of our users to have account-related features: A record of transaction history, saved/whitelisted addresses, and email notifications, etc.